This was one of the first all-weather tracks in the country and was laid by local company Avon Rubber as a test in 1983. The track surface was laid in strips 2 lanes wide. 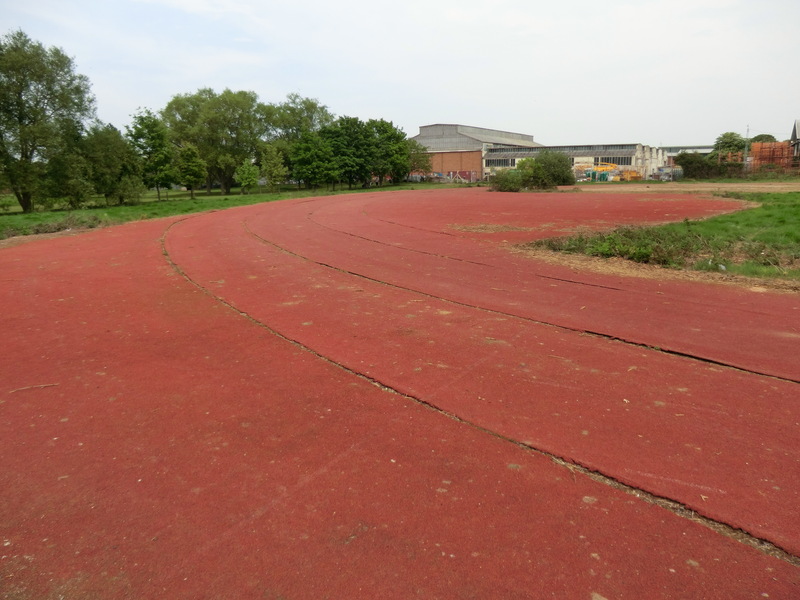 By the late 1990s, the track had fallen into disrepair due to lack of funds and there were cracks along the joins all the way round the track although it was possible to train on it at that time. The track continue to deteriorate although was still just about possible to run on it in 2011 (see the pictures) and the land was eventually sold for a Herman Miller factory with the work starting in August 2014. This picture from January 2015 shows the development in progress.